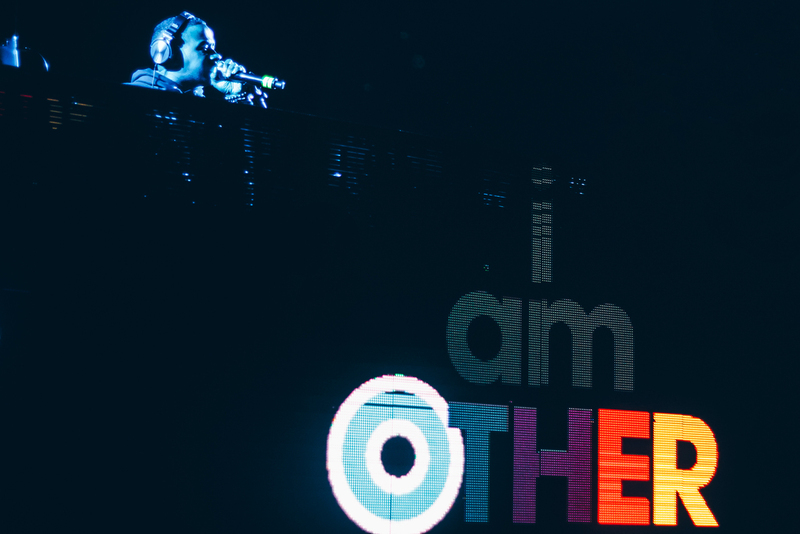 This past weekend, Kawan “KP The Great” Prather rocked the stage on behalf of i am OTHER, for Complex’s first-ever music festival and convention, Complexcon. Held in the heart of Long Beach, California, this festival garnered thousands of music lovers to the West Coast for a weekend of art, music, fashion, technology and most importantly fun. KP The Great (Head of Music, i am OTHER) took to the stage to kick-off the showcase with an energetic DJ set that had the crowd on a high. After the crowd was primed to go, he then welcomed Pharrell Williams (Founder of i am OTHER, Cultural Director for Complexcon) who introduced the talented artists of their creative art collective. Keeping the energy up, Watch the Duck performed a medley of their unique soulful dance songs while the iconic Duck mascot graced the stage. Following WTD was Compton’s rising star, Buddy, who debuted his timely and powerful record “Shine”. The First Lady of i am OTHER, Bia, proved that she can keep up with the boys performing a set that included the latin hit “Safari” by J. Balvin as well as debuting her single “Funcshway”, which was a crowd favorite. Closing out the I am Other set was Kap G, who performed a few of his hits including his smash record “Girlfriend” which had the crowd singing along to every word. “As Head of Music for i am OTHER, watching all of our artists perform together for the first time, at complexCON, was amazing. Knowing all of the work that these new artists have put in to get to this point is gratifying and they all left their mark on that stage. So, as official DJ for the i am OTHER set, I was both excited and humbled to have been trusted with keeping the flow & energy of the show going. It was a lot of work but we all had a lot of fun doing it. Complexcon was a great platform for the world to see who we at I am OTHER are musically and what we have to offer”, KP the Great stated.